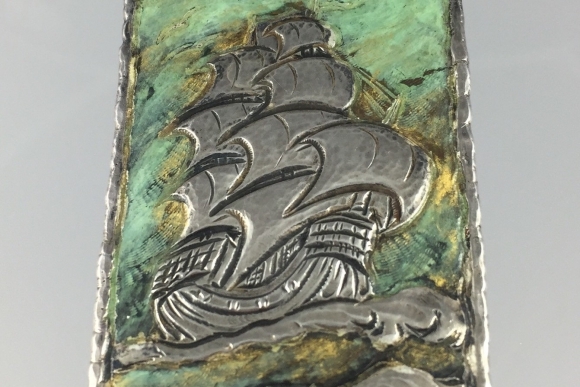 This rare find from the Loys Lucha studio of Paris France is a rectangular brooch with verdigris enamel. 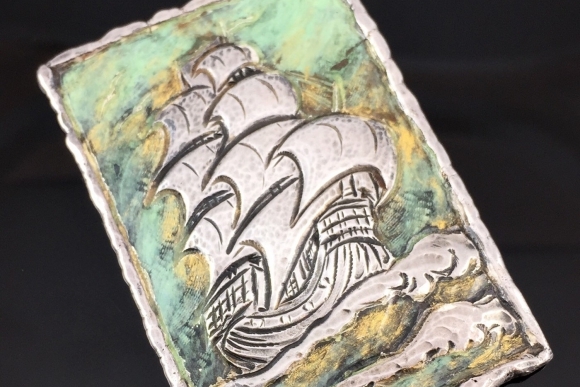 The Art Deco era brooch features a detailed repousse clipper tall ship in silver metal, with crashing waves and seagulls. The work is in the style of Arts & Crafts. 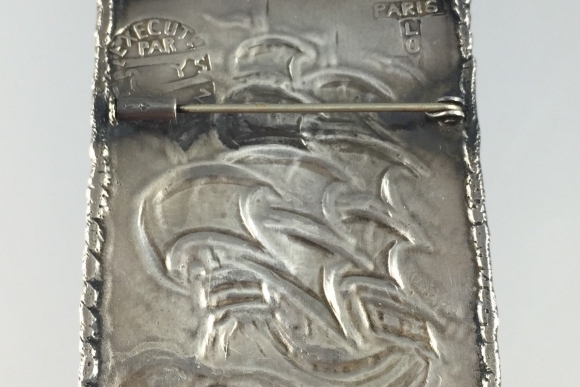 The crimped silver edge is a signature characteristic of objet darts and the few brooches Ive seen from Loys Lucha. 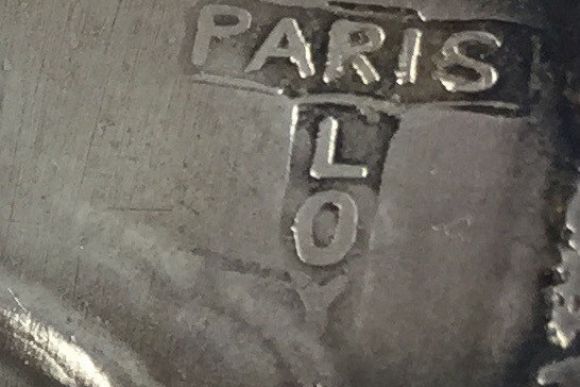 The back of the brooch is stamped Paris Loys and Execute Par LO YS A La Main. Both stamps are obscured. Loys Lucha Artisans are primarily known for their Art Deco era lighting shades of colorful enamels. The shallow bowl glass shades were suspended ceiling lights, called plafonniers. They also made fine objet darts and very rarely brooches. 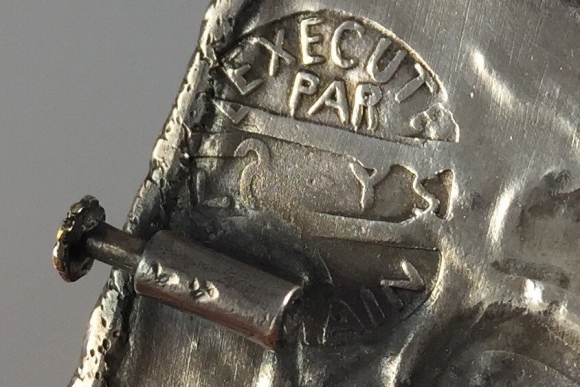 The brooch measures 2 1/2 x 1 3/4. Very good condition.